Toddler Approved! : August Half Price E-Book Sale! August Half Price E-Book Sale! 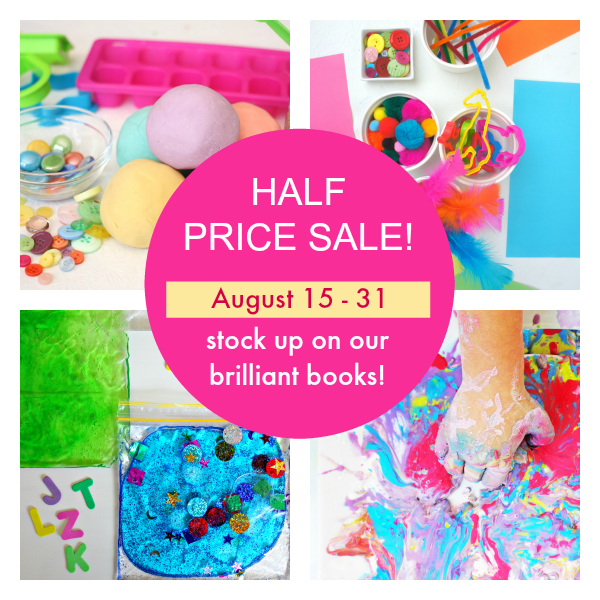 I am so excited about our August Half Price Sale!! 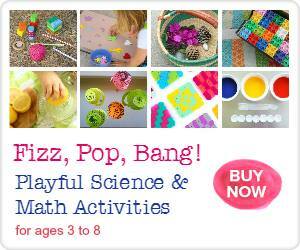 This is a great way to stock up on some awesome learning resources for kids. 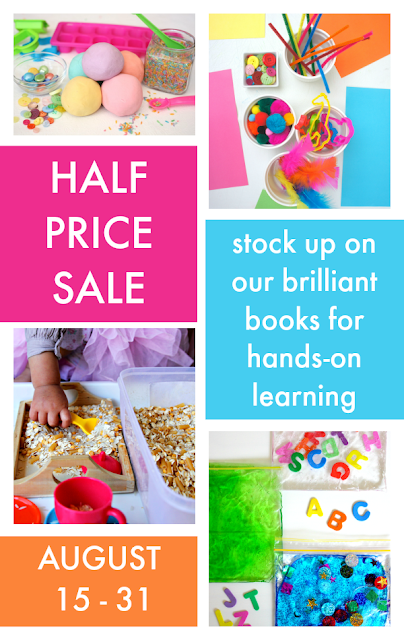 If you have kids ages 0-8 you are going to want to check out my three e-books (that are on sale for half price right now) filled with loads of creative ideas! 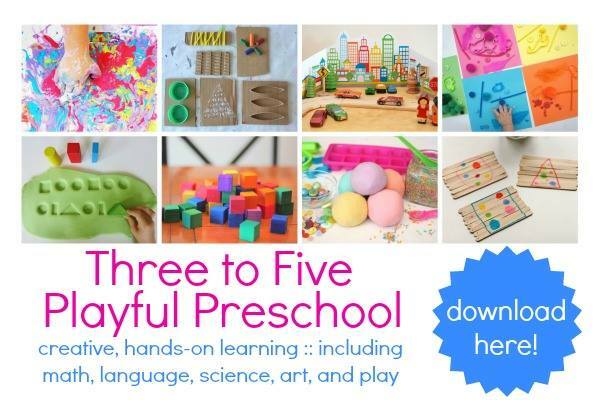 The e-books are jam packed with hands-on learning activities for kids which are perfect to use all year long as part of your day. Click on the links below to read more about each e-book. even better, you can stock up with a ‘bundle’ of all three, for just $13.97, saving yourself $14. 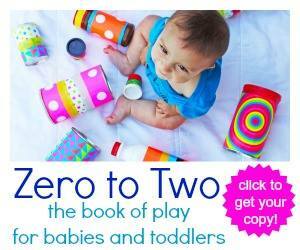 Find out more about Zero to Two: The Book of Play HERE or buy it now for only $4.49. Use code YAY02 in the ‘Discount Code’ box. Find out more about Three to Five: Playful Preschool HERE or buy it now for only $4.49. Use code YAY35 in the ‘Discount Code’ box. Use code YAYFIZZ in the ‘Discount Code’ box. If you’re buying more than one item, you’ll need to enter one discount code at a time, then click ”Update Cart’ after each new code you enter. Save $14 and get all three for half price – sale ends August 31st! If you end up trying out the books make sure you message me or post any activities you do over on my Toddler Approved Facebook Page!